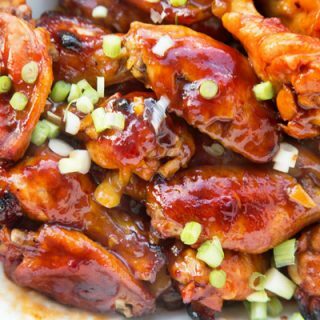 Home » Recipes » The Most Ah-Mazing Buffalo Chicken Wings You’ll Ever Make! My Buffalo Chicken Wing recipe will set a new standard of deliciousness for you. If you like more heat you can adjust that easily. 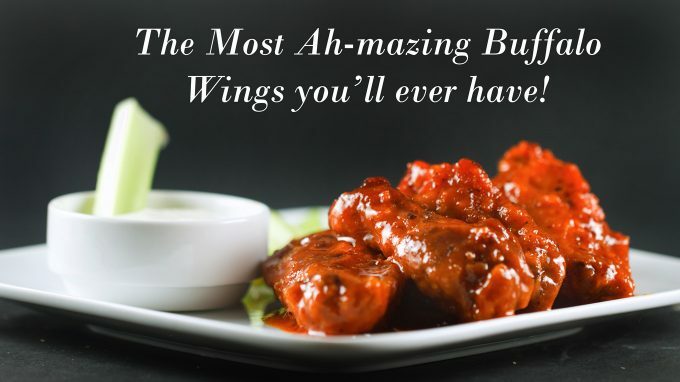 You can also make your own blu cheese dressing to accompany the wings! One of the great joys in life for me has buffalo chicken wings. I know it shouldn’t even be in that class of happiness, but I just love them. And when I started making them at home and developed a recipe I also found that just no one else could make them as good as I could. Of course, that doesn’t stop me from trying them when we go out to eat……. because I love Buffalo Chicken Wings! 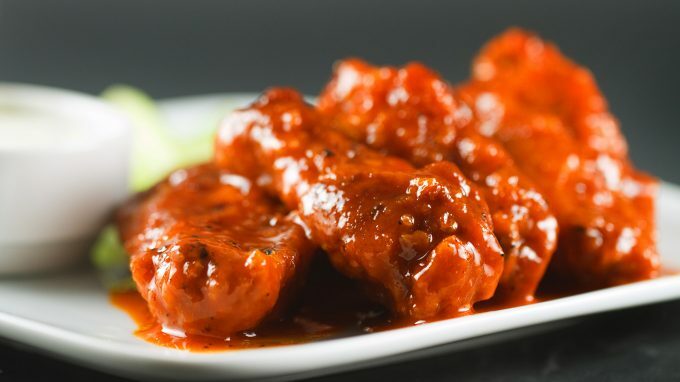 In fact, I love all styles and flavors of chicken wings like my Chinese Sticky Wings and my Drunken Tequila Wings, but Buffalo style will always be my favorite. The first and most important ingredient for this dish is the Chicken wings. And if you have a choice always choose fresh not frozen wings. Did you ever notice that sometimes the bones get black inside? That’s a sign that the wings have been frozen. If you use fresh wings, it’s not really a big deal to separate them at the joints. And don’t throw away the little end piece of the wing, freeze them and save them to make chicken stock! If you’ve never made homemade blue cheese dressing before, you don’t know what you’re missing. While there are a lot of great brands in the market, homemade is so much better and pretty easy to do. The secret is in the sauce. You can adjust the amounts in my recipe for your heat comfort level and feel free to add your own secret ingredients to make it your very own. Just follow my steps in the recipe to ensure your sauce doesn’t break and comes outs rich and clingy. Just a word of warning, once you start making your own buffalo chicken wings at home, most of the others you try when your dining out will pale in comparison. Of course, that’s not necessarily a bad thing! You can heat this sauce if you want it hotter, but at this temperature the sauce will cling really well to the chicken wings. If you let the sauce get to hot it will break and separate into an oily mess! Wash all of the chicken wings, then on a cutting board, cut the wings into 3 pieces, either discarding the end wing section of freezing and saving for soup stock. Pat dry all wing pieces you will be using. Place wings in hot oil and fry for about 4-5 minutes, then turn them over and cook the other side for about the same time. (You want the wings to get crispy and have a good color). 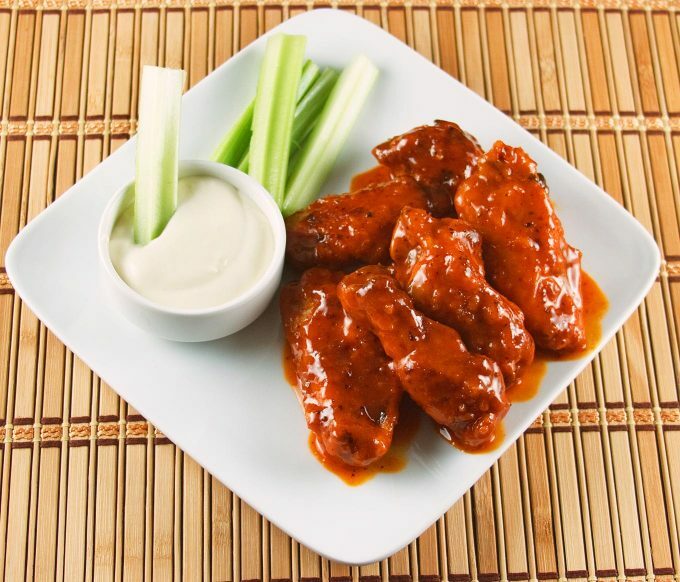 Place the cooked wings in a large bowl with your buffalo sauce and toss them to get a good even coating of buffalo sauce on the wings. Can you cook them in a deep fryer and get the same results? Oh my goodness, thank you Chef Denis, these are amazing!!! And the bleu cheese sauce is to die for, just finished with the family and they couldn’t rave more, even the little one who hates wings and bleu cheese!! I’m very happy to hear you enjoyed my wing recipe and bleu cheese! Thanks for taking the time to let me know. Making these again tonight, it’s all the family has asked for since the last time! In making the dressing, is there an alternative to using the food processor? I can’t wait to try it! The food processor incorporates the blue cheese more fully adding more flavor. But you can make it without, just mash some of the blue cheese up as well as possible adding some milk to make more of a paste. Can your recipe be used with an air fryer? I don’t want to sacrifice any quality or appearance.. . .i don’t see where anyone has tried an air fryer with great results. I have never used an air fryer so I’m not sure. If they can be cooked somewhat crispy, I would say yes. It’s all about the sauce and my sauce works on grilled of oven roasted too. Hi chef can I use a margarine instead to replace the butter? absolutely, I have even made it with coconut oil. It just doesn’t thicken quite the same. Hi Chef, this is awesome. I’m literally obsessed and made it for a party twice (and just for myself once) to rave reviews. I’m starting to find the butter taste very apparent – Any thoughts on reducing the amount of butter, or does that affect too much the overall taste? you can reduce the amounts of butter, but it will make the sauce hotter. The butter is an integral part making the sauce thicker and richer so is somewhat necessary to the recipe but if you don’t mind the heat just add more hot sauce. Indeed, the sauce is the secret. And I am totally copying this for sure…lol! Thanks for sharing! This definitely sounds like an amazing recipe. Though we are vegetarians, we have a group of friends who are just crazy about anything chicken. This is something to discuss with them over the weekend. These do sound amazing! I haven’t had wings in such a long time. Looks like I may need to get what I need for this recipe. I bet it tastes great. Oh my goodness. YES PLEASE. These look incredible. We will have to give them a try, i am a HUGE wing fan! My husband is a HUGE lover of all things chicken wings. I’m going to have to make these for him and let you know what he says. I love buffalo chicken wings as well and try to order them when we go out. I didn’t know that they can look black inside if they were frozen do thanks for the to. They are my kryptonite and literally my most favorite food. Except that I like them super HOT and SPICY. I love flats only too. These look amazing. Wow, what a great recipe. I can’t wait to try it out on my family. My kids will love this. Yeah chicken wings are one of my great passions too! I love them! What a wonderful sounding recipe! I’ll have to bookmark this to make later! 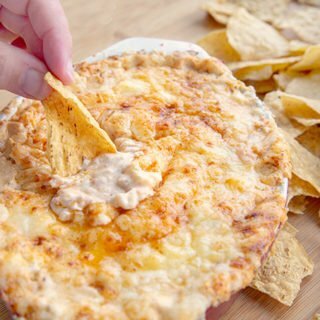 This recipe would be perfect for Thursday night football at our home. I know the guys would love it. I have to try these your way. I love Franks sauce, is there any better? I think not. I agree with you about homemade bleu cheese and, ranch, too! 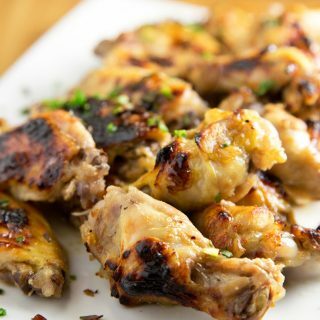 Those wings look fabulous and perfect for tailgating season. I didn’t realize that about the bones turning black when they are frozen. That’s good to know. Wow, what a great hep you are! Just telling me to cut off and save that part of the wing that has no meat to save for chicken stock, is simple and brilliant! I am getting ready to make chicken soup all Winter starting next month! PS Now I am hungry for wings! I love the name you picked out for these and I love Tequila. I might just have to make these for my son and daughter so I can have a Shot of Tequila. Since I don’t eat Wings. I just love wings! I’ll have to try these. I enjoy snacking on them while binging on a Netflix show. I’m not into football at all, but munching on these while watching Stranger Things is a win for me! This is always a meal that my family and friends never turn down. Easy to make ad always make a double batch. My son has a tendency to love buffalo wings but I never made them from scratch like this. I know now that I have the recipe he will make me fix it for him. You can definitely tell a big difference between fresh and frozen wings. While not terrible, frozen wings should be avoided, especially if you’re serving guests. Thanks for sharing! I love Buffalo Wings!! And blue cheese dressing? Yes, Sir! They are definitely a favorite in our house! Thanks so much for stopping by Toni! I’m happy to hear you enjoyed the wings Samantha, they are delicious! Thanks Gina, I hope you enjoy them as much as we do! Not sure if I get such a basic hot buffalo sauce here. There must be a way to make this from scratch, no? you can just use any hot sauce available, I use Franks because it has a little more flavor than straight hot sauce, but the whole trick in keeping looking good is not to let it get too hot (temperature wise) that’s what makes it break and look all greasy. 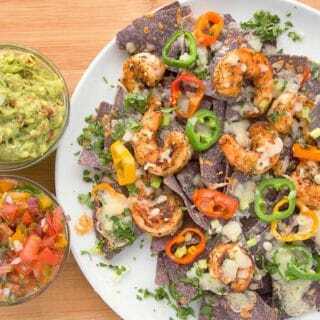 I love the recipe….looks fabulous! More than that I really loved your tips at the end! Thanks so much!! They look fantastic! I love wings saucy and the addition of honey is a sweet surprise! 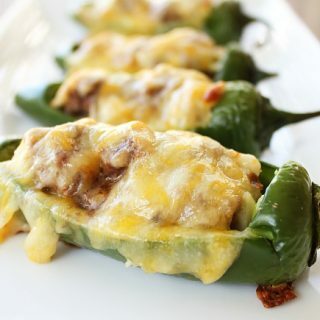 Used this recipe for Superbowl – may I just say they turned out fabulous! These wings are gorgeous! I really, really want a plate! Great tips as always – LOVE Tastestoping LOL Thanks for sharing! What gorgeous pictures of those wings. It's like I could reach in and pick one off the plate. I am super psyched to be making these wings today and posted a link to them on my blog! Thanks! You grab my appetite just by looking at these wings! Thanks for the tips on Foodbuzz and photo editors will check on them for sure. 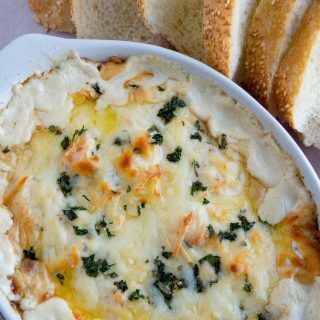 Do you fold the second half of the blue cheese in the finished dip? Sounds super! 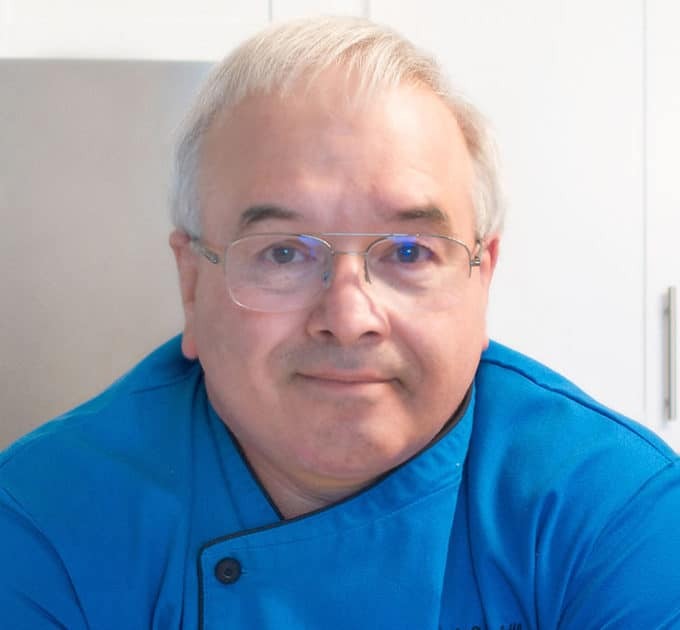 Hi Chef – good advice, and I am off to check out those sites you mention. YAY for your Top 9! Congrats on the Top 9! Again! Great recipe! I always look forward to your posts! My compliments! These are going to be fantastic! I hope you luck out and get rain again this time. We dodged the ice bullet again…. I don't know how long our luck will last! I blame busy-ness for taking so long to get here this week. I'm kicking myself because I almost missed out on one of my favorite appetizers! Can't stop the drooling here! I'm a purist when it comes to buffalo wings and it doesn't get better than the way you prepared it. Your suggestion about using fresh wings is duly noted–I think I've only ever used frozen. Thanks for the tip. Have a great weekend, my friend! I love to use Louisianna's sauce, I didn't find it at any store a few months ago but now.. I found it again at the supermarket! Another wonderful post Dennis!! You are so full of information, and I so appreciate you sharing. WOW! On the wings! And I'm not even a wing fan. We have about 50 people coming on Sunday for Super Bowl, it's an annual event and will be fun… I wish you were coming and bringing these!! On our blog I had people respond what was their favorite Super Bowl food and wings was the hands down winner. Congrats on the Top 9!! Okay, these wings definitely have me just drooling! I want some right now! Wow…. my forehead hit my monitor trying to get closer to these delectable looking wings! Well done on the top 9! 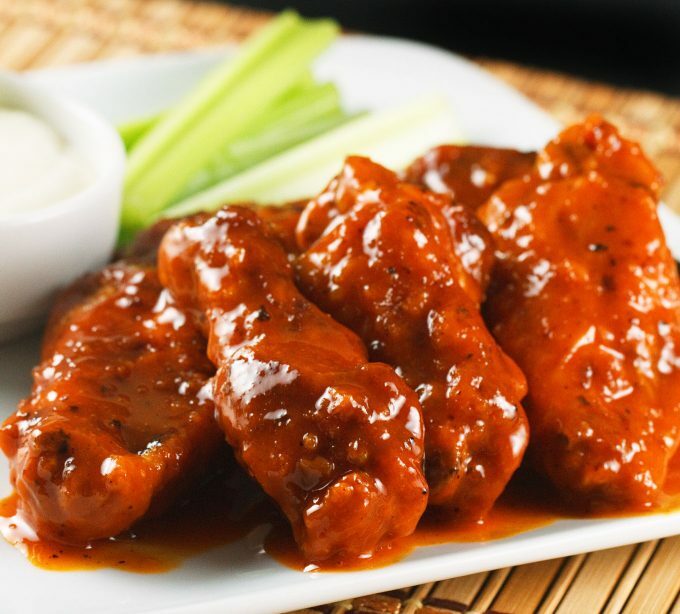 What a gorgeous shot of my favorite comfort dinner…buffalo wings! Congrats on Top 9! I can't wait to try your recipe…mmmm!! Hope you are doing ok in that terrible weather Chef. Congrats on the Top 9! Beautiful pic! Congrats on your well-deserved spot in the Top 9 today! Your chicken wings are gorgeous! I enjoy wings…but I've never ever made them at home. Now I have a trusty recipe to turn to! I love how bright they looked on the plate. The sauce sounds AMAZING. I hope you and your sweetheart are staying safe and warm. We have been freezing here in Texas! Much love, sweet friend! Dennis these wings look so good I swore I saw that sauce drip down my screen. Beautiful photo. I think it's great for you to recommend PS Elements or equivalent software. The Adobe CS programs can be intimidating for many, specially for those only looking to do minimal editing for their food blog photos. Great post as always! Glad to hear you didn't get the horrible snow storm. Yum! I love chicken wings and I love Frank's! This is definitely a touchdown my good sir.